The summer 2018 is already now marked as a historical warm and dry summer as well in Sweden as in many other countries in Europe. July has never been as hot as this year since collection of Swedish weather data was started for 260 years ago. The result has been many and large wildfires in the forests. 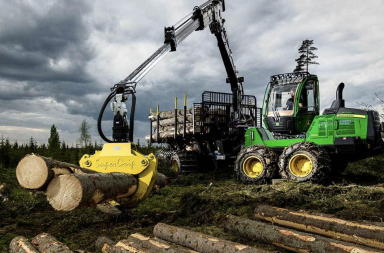 In totalt it’s estimated that more than 25 000 hectares and almost 3 million cubic meter wood were destroyed by fire in the Swedish forests. This is far more than we are used to. 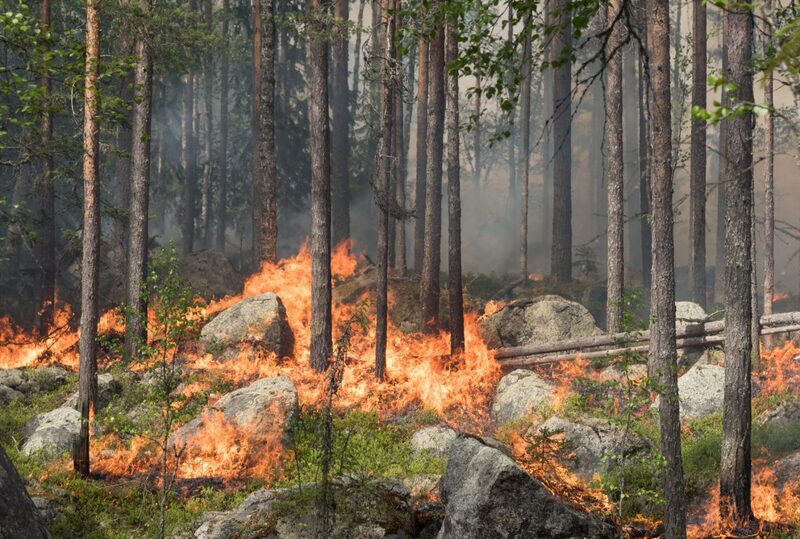 As Sweden has it’s geographical location in the northern hemisphere and the natural forest types are boreal, coniferous forest of spruce (Picea Abies) and pine (Pinus Sylvestris), forest fires has always been a part of the natural dynamics. Back in time in the late 1900 century, before forest industries had put a value on the wood, it could burn more than 200 000 hectares a year if conditions were dry enough. 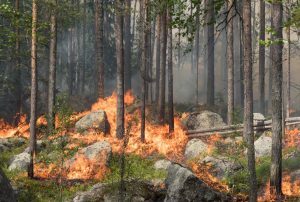 During the early 2000 century, only some few years got massive forest fires and later on we have seen a very low frequency and only limited wildfires in the Swedish forests. One reason is a great infrastructure of forest roads which gives good and fast access for fire fighters. In 2014 we had an unusual wildfire in Sala, some 200 km west of Stockholm which took 14 000 hektars. But this year we had to face a complete new situation than we are used to: A high number of forest fires throughout all country, even far north, whereof a handfull grew to huge sizes before they became controlled. Swedish authorities says up to 4000 fires was registered but most of them were killed before they went out of control. Two of the wildfires grew uncontrolled during several weeks before they finally were surrounded and mastered. One in Trängslet/Älvdalen, in mid Sweden close to the Norwegian border and one (actual several in the same area) in Ljusdal/Färila, about 400 km north west of Stockholm. In total those fires have burned an area of 25 000 hectares with appr. 3 miljon cubic meters of standing wood. The Swedish Civil Contingencies Agency informs about the situation at their website. Sweden got a lot of valuable help from many EU-countries and also from Norway. With firefighters, helicopters and aircrafts for water bombing which was of great help. In order to strike out one of the big fires (in Trängslet) the Swedish Air force tried to bom the fire with missiles. The bomb took down the intensity of the fire in an radius of 100 meter from the impact which helped helicopters and ground forces to better fight the flames. Right now, all big fires seems to be under control and as autumn comes closer it looks like the weather conditions is in favor for larger risk levels. Now remains the hard work to rescue as much as possible of the dead trees from burned areas. 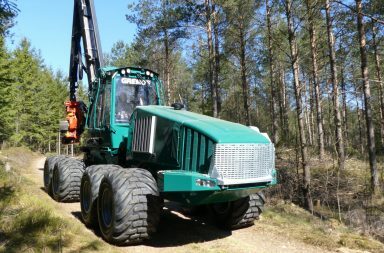 The forest industri is right now preparing the plan and the logistics how to handle and process sawlogs from the fires. There will probably bee several sawmills in the actual areas that will convert from regular business to burned log salvation. 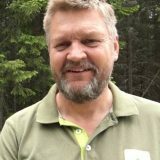 Forestry.com will publish more and updated information about the forest fires 2018 in Sweden so keep an eye on this site.